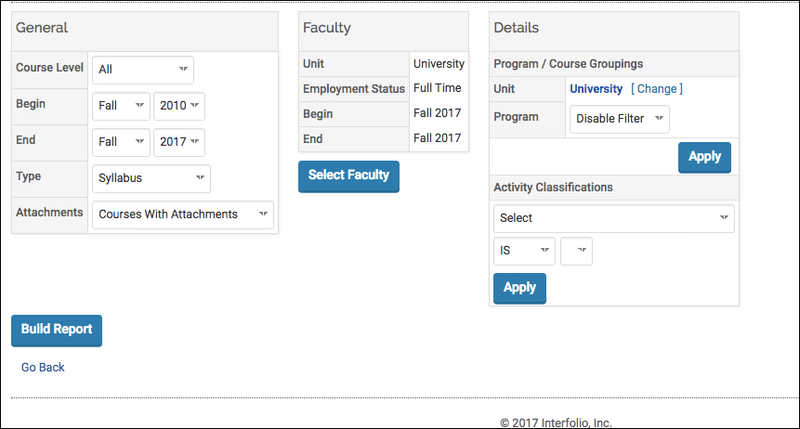 Only users with the relevant user roles and permissions may access this page and run the report. 1. Choosing Information/Data, 2. 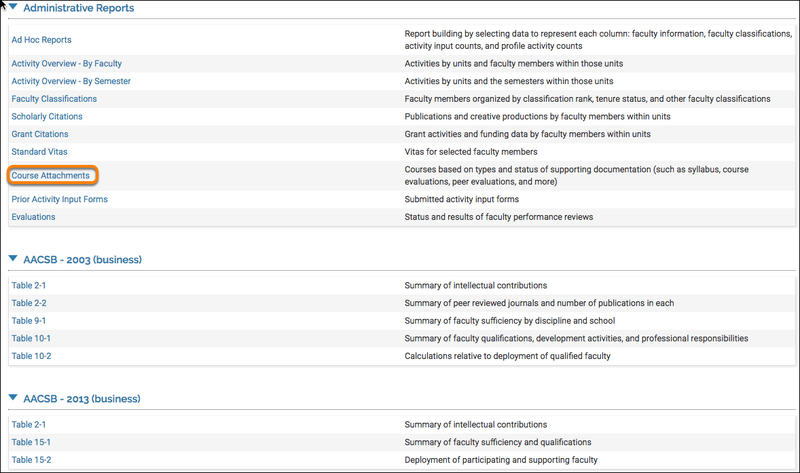 Selecting Relevant Faculty Members, 3. 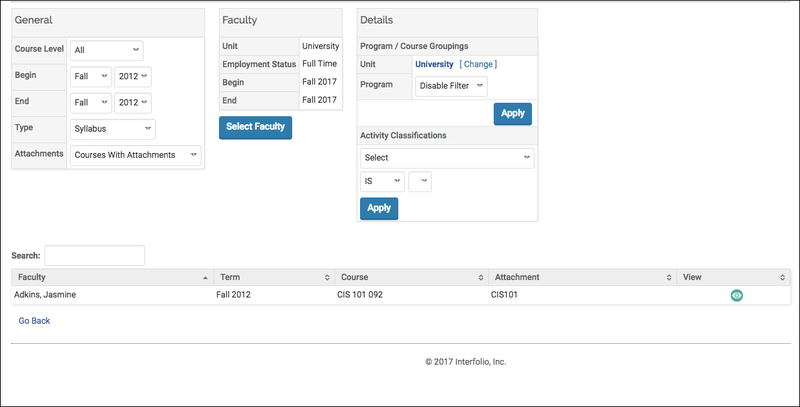 Adding additional activity classifications or program/course groupings. 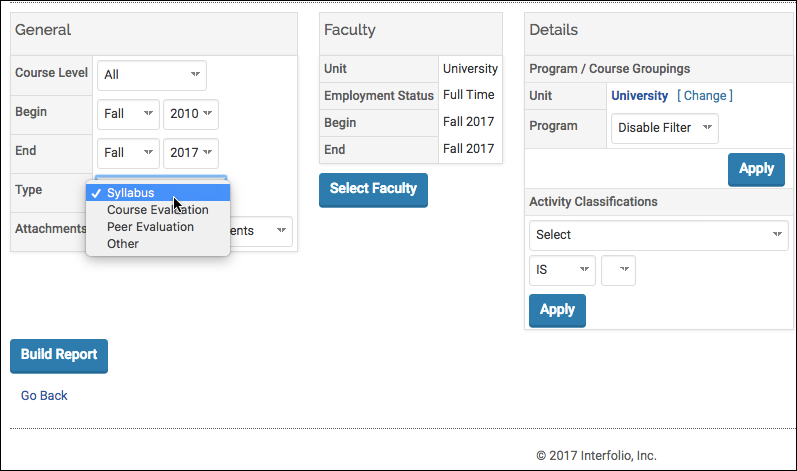 Select the relevant course level for the report. Set a Begin and End term to create a range of data to pull. 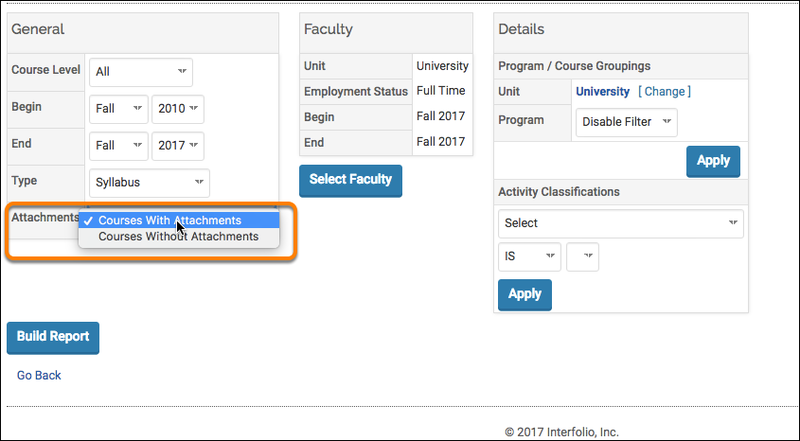 Select if you want to display courses with attachment, or course without attachments. After you have configured your report, select build-report. 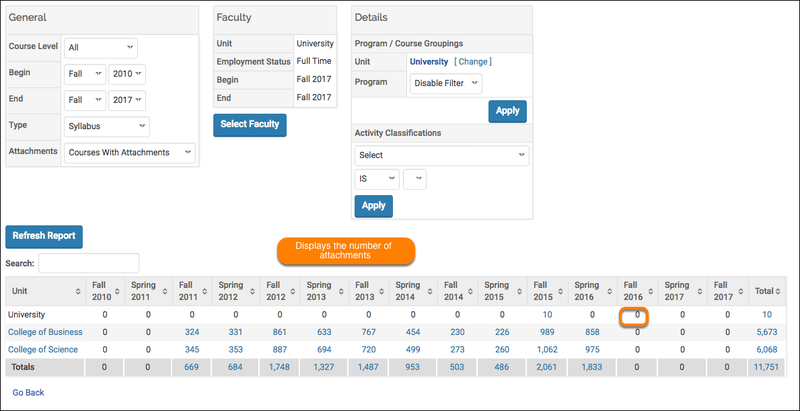 After the report has been ran you can dive deeper into the data by selecting a link within the reports section. 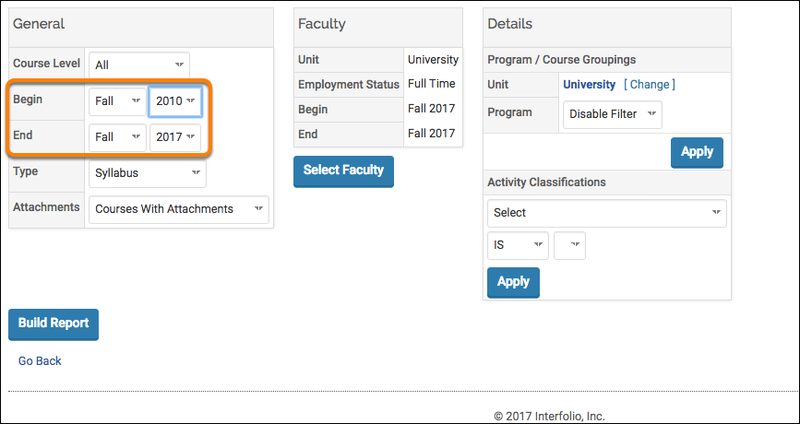 With the proper permissions, after drilling down into specific faculty member's work, you can view the submission by clicking the view icon. At any point you are able to 1. Modify, 2. 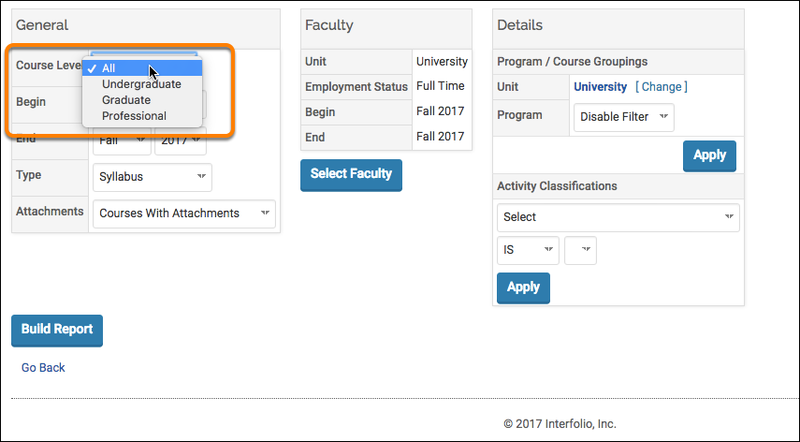 Export, and 3.Save your Report by clicking the buttons at the top of the screen, as displayed below.